Les Dyne planned his funeral after 3 years of high dosage radiation and chemotherapy. A visiting friend suggested he try wheat grass juice – he lived and is now owner of S.A.F.E. An Australian owned and operated health company for those who desire a whole food approach for health and wellbeing at affordable prices. Pay wholesale prices for food supplements, natural personal care products, environmentally-friendly household cleaning & gardening products. Receive naturopathic advice at no charge. There are many more benefits for members. Everyone has the ability to respect, learn and govern their health – either now for preventative care or later in crisis support. All of us are subject to well known created principles of health – light, air, water, exercise, rest, measure (temperance) and natural foods. We encourage all age groups and work life styles to find effective directions for sustainable health and practices. People we meet are looking for sound health-orientated directions that work long-term, as opposed to disciplines that fall apart and discourage us from trying again. We have every right to truly care for ourselves and others with us, to seek step by step changes that we can develop and enjoy working with. Health gives us the better race in life and enhances our capacity for truth. We love to hear of people changing their outlook from illness to health and life. Our journey involves years of experience and connections with others who fought for health, and a deep love for others improving their health. We welcome you to review our website, and its various articles and trust you may consider your own steps and commitment over time for changes to food and life style. Sometimes a change can be as simple as one decision with our supermarket shopping trolley today, and another later as we maintain awareness for reviewing our health. There is no single method or set of rules, rather an approach that falls in line with what we believe are inherent and created principles of health that all can explore and benefit from. There is too much confusion in the health arena today, and more people are asking hard questions from numerous sources and what has worked for others, instead of taking advice for granted or without reasonable question. We are pleased to support the SAFE products in balance with natural foods and other life style decisions and wish to convey what we strongly feel are created principles of health backed by genuine testimony and proven years that benefited from our own decisions to be aware and change. 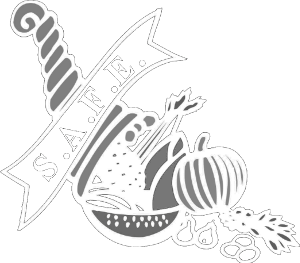 SAFE began its flagship products with Green Barley Plus and Citramin. Search our SAFE products here. Click a product to view its details or add to your shopping cart. For example, search on “green”. VG Powder 1kg - Now 100% organic! VG Powder 200g - Now 100% organic!